Many authors are either ignorant of the media interview process or afraid to reach out to local journalists and broadcasters to arrange media interviews that can be used to gain name recognition and promote or market their book(s). In reality, many of these local resources are looking for subject matter experts and local celebrities in their area. They also like to highlight the accomplishments of local writers. To get media interviews, you must first identify local and national newspaper reporters and radio or television personalities that handle your content area. It is fairly easy to do this. If they are working for a print publication, just search the Internet with the phrase “List of news reporters in (your city and state)” or “List of reporters at your local television station).” Often, you will find a listing of news reporters by company, along with their contact information. You can also read your local publications to identify the appropriate contacts for the content area that you write about and then reach out to them. Approach them through email and/or telephone, or through a personal contact who might know them. The easiest ways to find contacts who might know someone is to get involved in local business and professional networking groups to build your author platform. Once you make contact with the media professionals, offer to share your expertise with their readers, listeners or viewers. Newspaper reporters and on-air personalities for radio and television stations are often looking for material and stories that will fill print space and air time with valuable information for their audience. 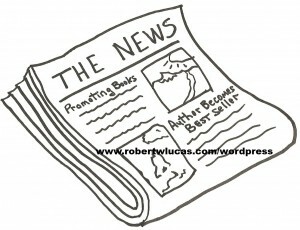 If you can show how you are an expert local resource, the reporters or personalities might use you on a regular basis. An added plus with on-air media interviews is that their interviews are recorded. Following an interview, the station will normally provide you with a copy of the interview which you can then place on your Website. You can also send it out as an attachment when communicating with potential clients or other media sources. 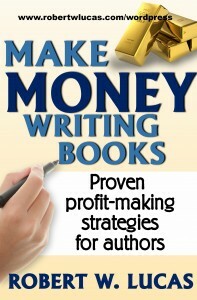 For more ideas and strategies on book marketing and effectively branding yourself or products as an author, get a copy of Make Money Writing Book: Proven Profit Making Strategies for Authors. This entry was posted in book ideas for nonfiction authors, Book marketing, building an author platform, how to market a book, ideas for authors, making money as an author, personal branding, promoting books, promoting books online, Success tips for authors, Tips for Authors, writing tips and tagged book marketing, book marketing strategies, book promotion, how to market a book, how to promote a book, marketing a book, tips for promoting a book. Bookmark the permalink.